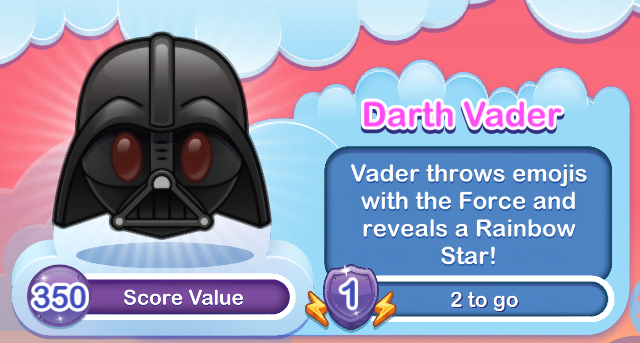 Vader throws emojis with the Force and reveals a Rainbow Star. Vader finds your emoji’s lack of faith disturbing. 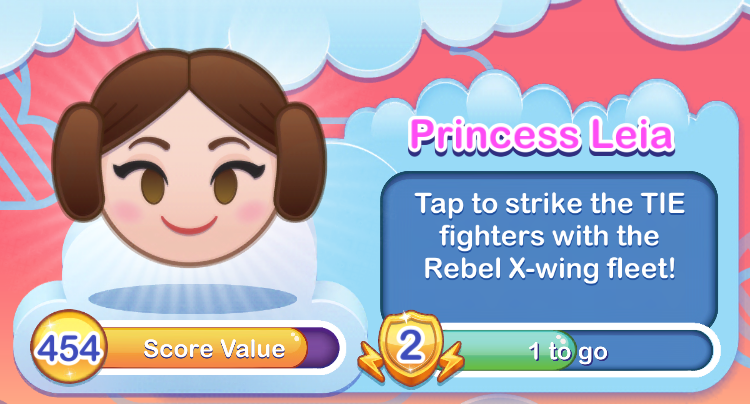 Tap to strike the TIE fighters with the Rebel X-wing fleet! Princess Leia Organa is a member of the Imperial Senate and a brilliant leader and strategist. Tap the quadrants of the radar to launch an attack. Emojis, get out of the way! Embrace the dark side. Frenzied lightsaber slashes clear the board. 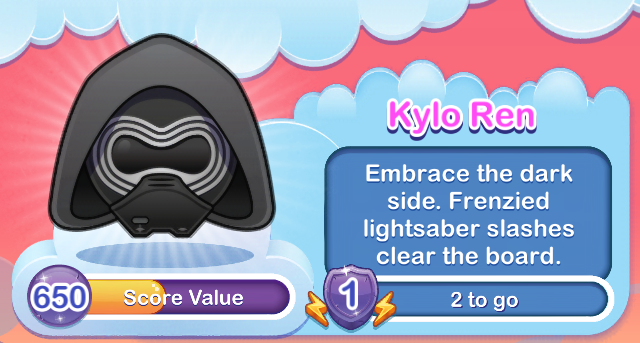 Kylo Ren swipes at the board, but his movements are uncontrolled. Is there fear in this one? 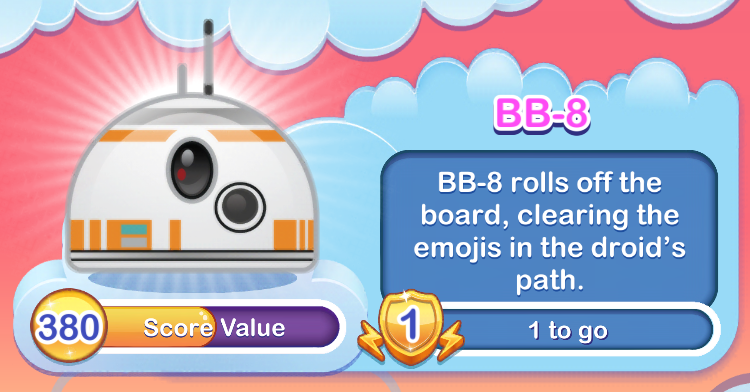 BB-8 rolls off the board clearing emojis in the droid’s path. BB-8 gives you a blue-flame thumbs up before rolling across the board in two directions, clearing rows of emojis as he goes. Sometimes he clears a cross-section, sometimes it’s a double vertical column or double-horizontal row. You never know with this feisty droid! 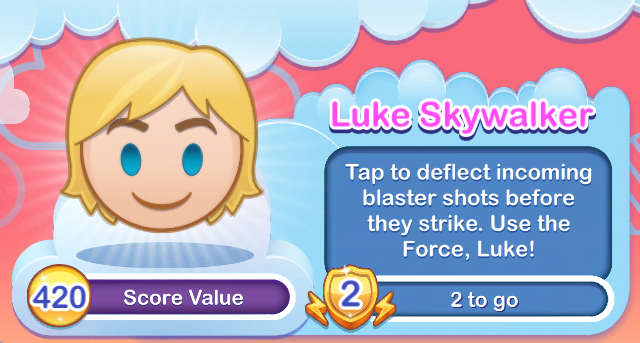 Distribution: Exclusive Diamond Box or Star Wars Event unlock. May the force be with you! Swipe to clear emojis with Rey’s lightsaber. 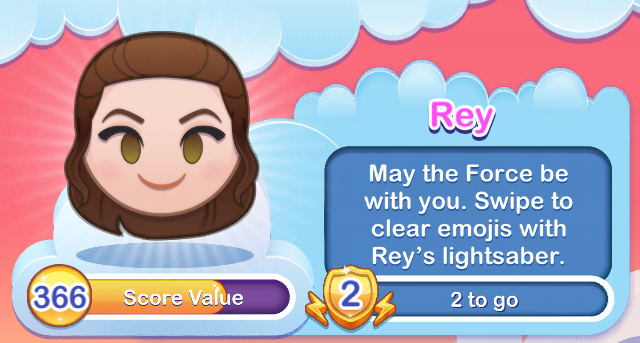 Trace a line across the board, and Rey will swing her lightsaber to clear emojis. Oh, and you will remove these restraints and leave this cell with the door open. Blast the stormtroopers! Each tap clears surrounding emojis. 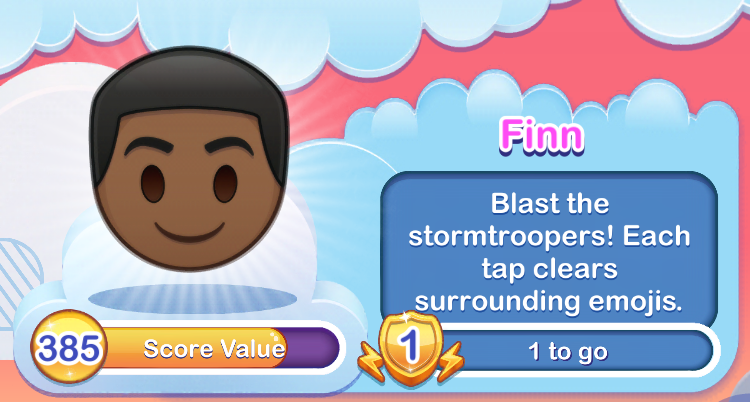 “The name’s Finn and I’m in charge.” Tap the screen and blast the storm troopers! Clears emojis with a circular slurp! 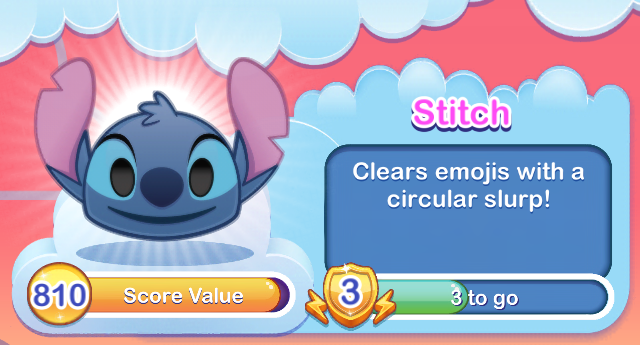 Stitch licks the board in a circle pattern. Zooms across the board, clearing emojis in his path. Propelled by a fire extinguisher, Wall-E zooms across the board in a predictable path, clearing emojis as he flies by. Flies across the board, clearing a spiral of emojis.